Ring is on hand at CES to talk about some new products, as well as offer some updates on previously announced devices. 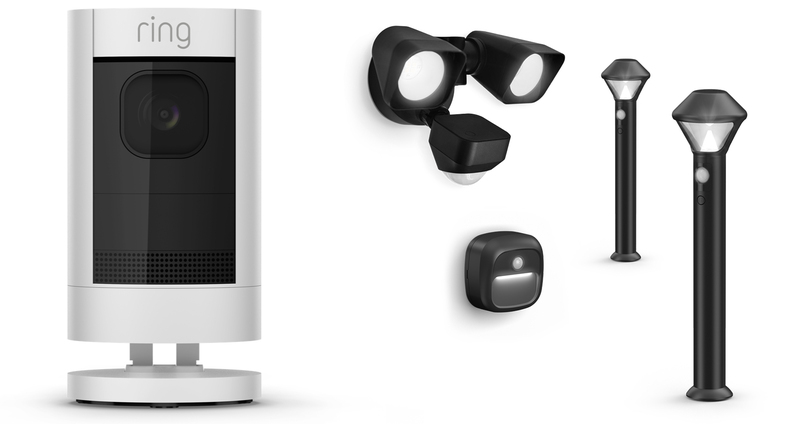 The company has a raft of new cameras and lights, including some products that resulted from its acquisition of smart lighting firm Mr. Beams. There's also news on the delayed security system. Ring Alarm (yes, that's a different name) will ship soon. Ring already has a video doorbell that's quite popular, but today it's adding more cameras to the mix. The Stick Up Cam and Stick Up Cam Elite plug into the existing Ring app to provide more video coverage for your home. The Elite requires a power connection, but it has more powerful motion sensors than the battery-powered Stick Up Cam. That one uses passive infrared sensors to detect activity and wake up. Both cameras are weather-resistant for indoor or outdoor use. Also new today are the Ring Beams family of lights. These battery-powered lights are activated by motion and connect to other Ring devices. There are various form factors here including pathway lights, step lights, and spotlights. Note: these are different than Ring's existing spotlight cams. Finally, there's news on Ring Protect—or Ring Alarm as it's now known. After being announced in October, Ring had to delay Protect because of a lawsuit. Now, it's being called Ring Alarm (presumably because of the lawsuit), and it will ship this spring. Ring doesn't have a specific date, though. LAS VEGAS--(BUSINESS WIRE)--Ring, the leader in home security, unveiled at CES 2018 its whole home security ecosystem, which includes several new security devices that bolster the Ring of Security around homes and neighborhoods. Among the new products are two new indoor/outdoor security cameras and a line of smart, connected outdoor lights, called Ring Beams. 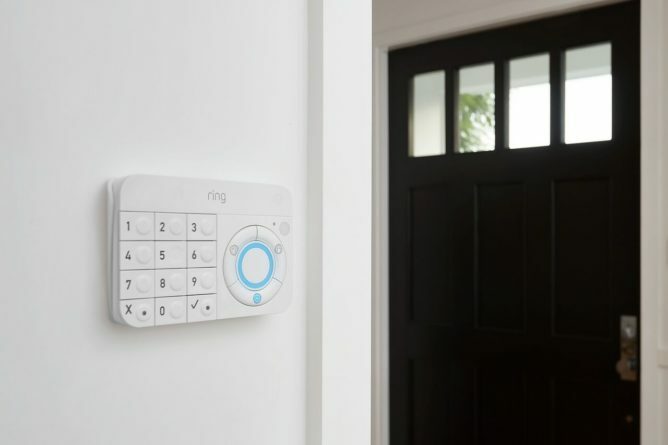 Additionally, Ring announced its new, professionally monitored home security system, Ring Alarm, which will begin shipping to customers in spring 2018. The Ring product line, along with the Ring Neighborhoods network, enable Ring to offer affordable, complete home and neighborhood security in a way no other company has before. Ring recently acquired Mr. Beams, an innovative LED lighting technology company, in order to integrate smart, energy-efficient lights into more of its security devices and release new, standalone outdoor security lights, called Ring Beams.